This property was a former factory which has been renovated and slightly remodeled to accommodate a medium to large family. 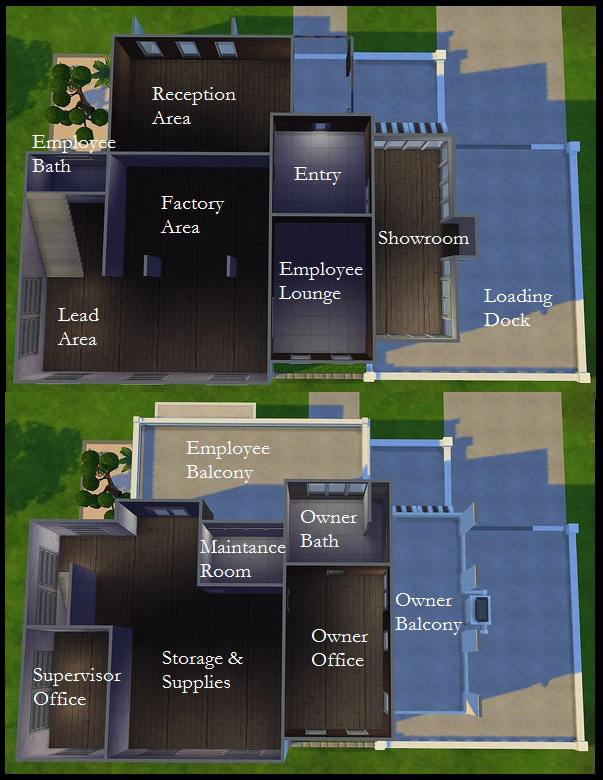 When many factories began shutting down in the late 70's, most of them were left abandoned for a long period of time, but as the Sims population expanded over the time, these lots became desirable neighborhoods to live in. Original features include exposed brick and high ceilings. The ground floor offers an open plan living and dining room, kitchen, study room, and guest bathroom. 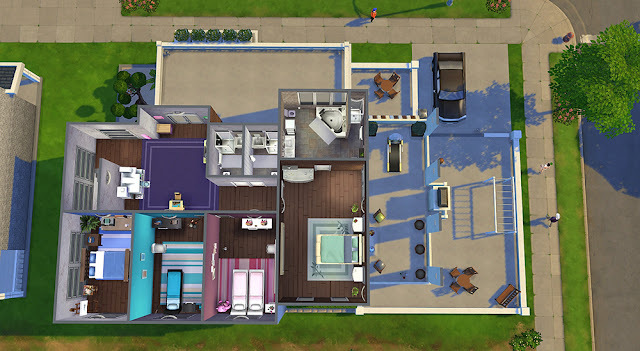 On the second floor you can find the master's bedroom with bath, 2 balconies, 3 bedrooms for kids, and 2 shower rooms. 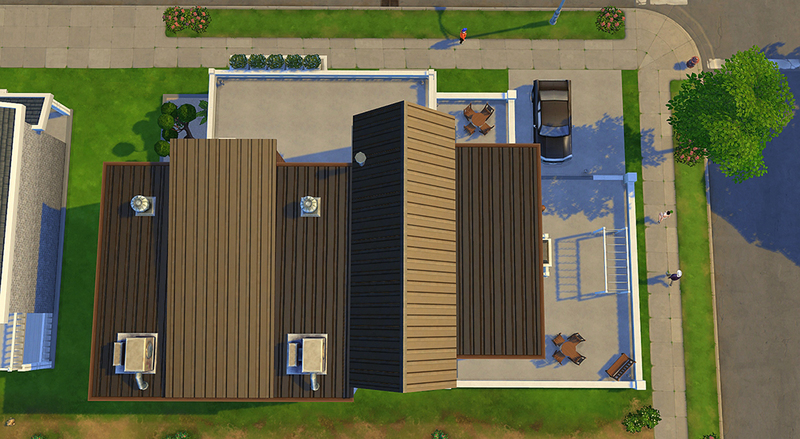 This residential house cost §179,178 and has a lot area of 30 x 20 squares. No CC required! 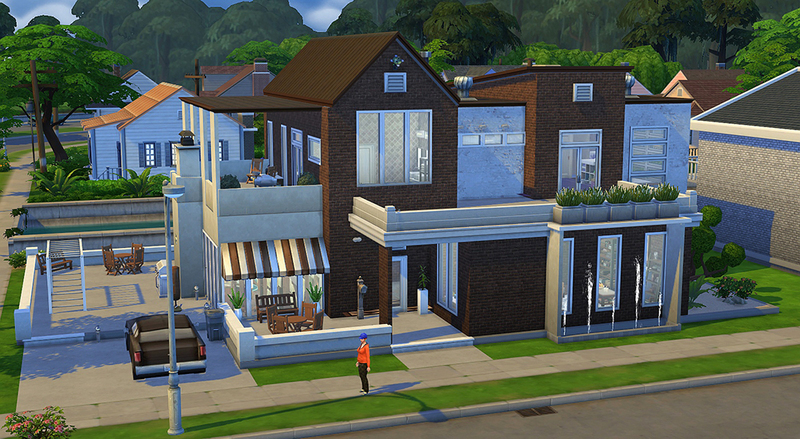 This was built using The Sims 4 base game. There are no expansions or game pack items needed. Copy the files that you have downloaded and paste them into your Tray folder, which you can find inside My Documents » Electronic Arts » The Sims 4. For more info, read How to Install Downloaded Lots.